So cunning is a snake in the bush. Slivering through, the Snake has a distinctive bite, fear only the Copperhead; cause this beast is far more tame, if tradition serves us right temptation bares the fruits of all sins. So, what are you waiting for? Be a sinner. Ideal Drinking Time: When life is good, and your feeling Hoppy. Flavor Enticement: One of the newer pups to the Litter of Ales, Snake Dog is a traditional IPA, brewed with imported English Marris Otter pale malt and Golding Hops. 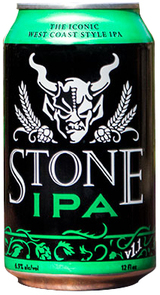 Dry hopped with Chinook & Golding hops, contributes to the fruity-floral hop aroma characteristics of this IPA. This is the ideal brew for those who like it hoppy.